Did you know that your dog has different nutritional needs at different times of the year? Just as our needs change depending on the season, the same holds true for our pets. New Bedford pet owners need to be aware of the changes in their pet as we move from fall to winter. It is important to note that not all dogs are exactly the same. What works for one, won’t always work for every other, so you need to pay attention to what’s going on with your pet. If you aren’t sure, stop by and visit your South Coast veterinarian at our Dartmouth animal hospital for a check-up. Whether you need nutritional advice, help with preventive treatments or require dental care for pets, you can trust the team at Anchor Animal Hospital. Are Humans a “Bad Influence” on Dogs? Some might say that it is our own “bad habits” that put dogs at-risk for being less healthy in the winter months. Studies show that dogs are more likely to become “couch potatoes,” get less exercise and eat more when the temperature drops. Sound familiar? The truth is that we all react to weather changes in a similar way. Dogs tend to get less exercise for the same reason during the winter months, and not just because we don’t want to take them out for a regular walk around the block, but because nobody wants to go out for long in all that snow and ice. We tend to eat more when the temperature drops, as our bodies need more fuel to help us regulate temperatures and stay warm. So it is important that you provide high quality nutrition to your pets more now than ever. 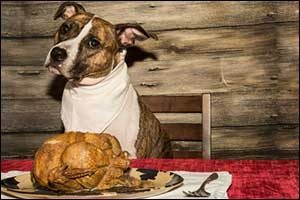 However, we also have more “eating holidays” during this time of year, so it is important to ensure that pets don’t get into sweet treats and other holiday favorites that can be too rich for their bodies to process. Focusing on the type and amount of food that you are feeding your dog is the best way to keep him healthy, so he will be ready to hit the ground running as soon as New England thaws in the spring. While we try to avoid calorie-rich foods at parties, dogs need extra calories if they spend a lot of time outside – more than just a couple of minutes to “do their business” a couple of times each day. The best way to take a healthy approach to increasing calories is to either switch from a single meal each day to feeding smaller meals two to three times each day. Another way is to speak with your South Coast veterinarian about switching to a higher calorie formula. Some dog owners use puppy food, while others add things like no-salt chicken broth or mix in a can of wet food. New Bedford pet owners should consult with their local Dartmouth animal hospital before making any major changes to calories and nutrition. On the other hand, a dog that is having a problem with weight in the winter due to reduced exercise may also need a change of calories. Again, because calories are important for keeping warm in the winter, it is important to consult your trusted veterinarian at Anchor Animal Hospital. Reducing treats is a safe way to “cut calories” without harming your dog with regard to nutrition, just make sure you monitor the amount of food that they are eating each day according to their size, age and activity level. If you “free feed”, consider only putting food in the bowl at meal time to ensure they are getting enough food without getting too much. Diet food is also available through your South Coast veterinarian if it is determined that your pet needs to restrict calories for health reasons. Again, it is important that you do not make any dietary changes without consulting a veterinarian first. Whenever we start to add things or remove things from our pet’s diets, it can sometimes affect other areas of their health without us realizing it. Sometimes the crunchy treats we provide can help to remove tartar from teeth. Dental care for pets has become recognized over the years as a very important part of keeping pets healthy. Just as dental care is essential for people, proper cleanings and care can contribute toward to longevity of your pet. New Bedford pet owners can bring their dogs and cats into Anchor Animal Hospital to receive dental care for pets. Just an annual dental exam when you come in for a yearly check-up, and tips on home cleaning options for pet owners, can help to improve your pet’s health considerably. Any time you switch your dog’s food you run the risk of having side-effects from the formula change. While the food you may feed your dog now could be grain-free, another brand may have corn or wheat, two ingredients that can be difficult for pets to digest properly. Working with your vet to find a formula that is right for your pet is important, but it is also important to switch from one formula to the next gradually. Changing too fast can cause diarrhea, vomiting and other issues. Ask your vet for tips on how to make the change properly to help your pet adjust without suffering from too many digestive issues. Contact Anchor Animal Hospital by calling 508-996-3731 to schedule an appointment for your pet. New Bedford pet owners and pet owners from all throughout the South Coast region have trusted our veterinary clinic since 1975. Whether you require an annual check-up, treatment for specific conditions, dental care for pets or emergency veterinary services, you can trust our Dartmouth animal hospital to provide the care and services your pet needs.